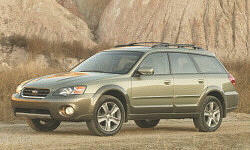 Subaru Outback Front Seat Support & Comfort Pros and Cons | Page 1 of 1 | Why Not This Car? The front seats are very comfy, and the seat heaters are powerful and warm up quickly. We compared the car to a 2014 Forrester, and we think the OB seats are more comfy-- they have more thigh support. Impressed with the seat comfort/adjustability/durability. 12+hours in the chair is no problem. Works well both for a short/er driver and a tall driver. I am a big guy. 5&#039;10 and about 290 lbs. This car is very comfortable for me. I can reach the controls nicely, love the heated leather seats. One complaint is the hard, short driver's seat. I use a gel cushion. I had after market leather installed. The driver's seat with its 10 way adjustments was rival to Volvo's orthopedic chair. The passenger seat, however was akin to something out of a Yaris & this was the main reason we did not buy this car. This is a big one for me since I'm 6'6". The seat is very comfortable, even with my long legs. With it all the way back, I can fit in the rear seat as well. Also, heated seats are a wonderful thing. Seat back a bit low for 6 footers.